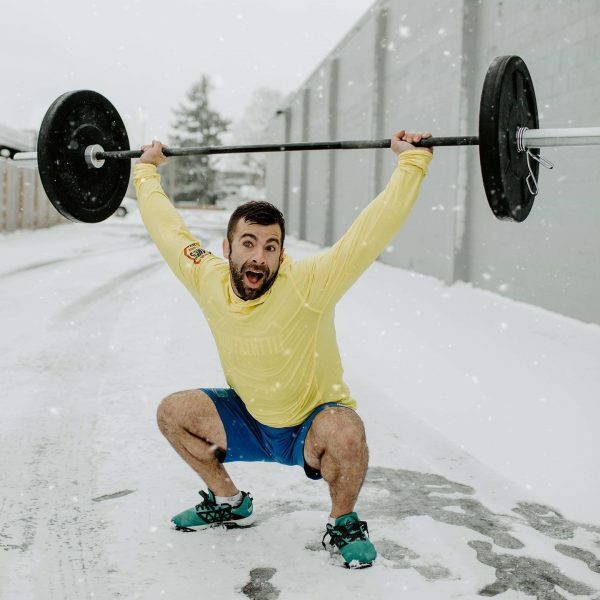 Read on to find out more about Mike’s story and experiences with nutrition as a competitive athlete. “Over a year ago I moved to this beautiful state of Washington to start a brand new life. In this past year I’ve really taken the time to reflect and be very deliberate about what I choose to do. I figured I would learn a few things but I was not expecting to learn so much! I got to know myself in a way I hadn’t before, I came face-to-face with my flaws and discovered what things truly make me happy and why. Instead of doing things the way I always had because well, I didn’t know any different! I took a hard look at my lifestyle and decided to adopt an open and flexible approach to most things in the pursuit of all round wellness. Fitness and nutrition has and always will be a huge part of my life. I grew up wrestling and playing soccer and even from an early age had a pretty good understanding that what you ate mattered not just in terms of physique but performance too. At some periods in my life my beliefs about nutrition and fitness have caused me to be restrictive and obsessive. I didn’t realize it at the time but in hindsight I can see I wasn’t happy in the constant pursuit of “progress”. Not only was I unhappy, but at the seeming peak of my physical fitness I wasn’t even that healthy! Thankfully in the past year of self-discovery I have found a new balance in my life. I now enjoy nutrition and fitness as part of a healthy and well-rounded lifestyle, rather than a regimented program that I have to follow daily. Before – 155-157 pounds, post workout morning session, 32 years old. Now – 154-156 pounds, post workout, afternoon session, 35 years old. Before – 2 to 4 times a day! Never resting, crushing myself with volume all the while my lifts stayed stagnant. Now – Typically just 1 quick workout a day at Sumner CrossFit or workout at home or in my school office/gym. I workout now for health and longevity but still hit the occasional PR which is always cool! Saturdays are for getting outdoors and enjoying long hikes of 5+ miles. Before – I had no plan I just tried to fit it in when I had time between training. I was definitely under eating. When I would try to eat a lot I would go too far bingeing and end up feeling sick. Even though I ate good quality foods, my eating habits were not healthy. Now – I recognize the time-saving value of meal prepping for the entire week on Sunday! It takes me just under 2 hours to prep and saves me almost 6 hours cooking all my meals. I take an 80/20 approach to flexible eating. My calories during the school week are consistent, on weekends if I have plans out I allow myself some leeway but I never truly go overboard. I’m able to be flexible and enjoy both good quality foods as well as “fun foods” in moderation. Before – I was unhappy with life choices, stressed out, focused on results with little appreciation for everything I was accomplishing every day. Generally not in a good head space! Now – I have much healthier relationships with loved ones and friends. I find fun in the gym or any other activity I’m doing. I’ve also figured out what truly makes me happy. Whilst having goals to challenge yourself is an important aspect of personal growth and fulfillment, it’s important to take time to reevaluate those goals every now and again. You have to reflect and assess whether the steps you’re taking to try to achieve them are not only working, but also that they aren’t negatively impacting your overall well-being. If they are, then can you truly say that what you are doing is supporting your health or wellness?! Before I had no balance at all. Every day was train, eat, repeat. I had no other hobbys or ways in which to have fun. Now I have an amazing living environment, healthy loving relationships with loved ones, friends, family and people that mean the world to me. I have found that the mountains, lakes, outdoors and spending time with my dog truly make me so happy! At Own Your Eating, we know that a lot of different components go into creating success in life. But we’ve learnt that the two most significant ingredients are consistency and sustainability. We help clients maintain both these things in our Lifestyle programs with the help of our coaching platform and guidance from our qualified and experienced coaches. We don’t just promote healthy eating habits, we promote healthy lifestyle choices. If you think you might be lacking some balance in your life, then check out our image below to help you identify those areas that might be in need of attention.